The Japanese company said it expects to realize its best profit this fiscal year since 1998. Sony hiked its second quarter dividend to 12.50 yen per share from 10 yen per share. Sony Corp. (SNE - Get Report) is on fire. Over-the-counter shares were surging more than 9% in early trading Tuesday, Oct. 31, after the Tokyo-based company reported earnings for its fiscal second quarter that smashed Wall Street's expectations. The banner figure for Sony this quarter was an impressive 346% surge in operating profit year-over-year. For its second quarter, Sony reported 204.2 billion Japanese yen in operating profit, compared to 45.7 billion yen during the same period last year. Analysts had expected profit of 135.6 billion yen. The boost came primarily from impressive demand for Sony's PlayStation console and strong performance from the company's game and network services division. Sales in the unit increased 35.4% from last year to 433.2 billion yen. Operating profit in the division increased 188.3% over last year to 54.8 billion yen. 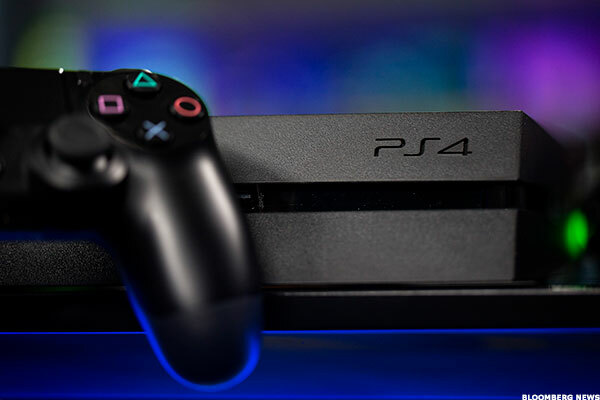 The company said an increase in PlayStation4 software sales, the positive impact of foreign exchange rates and an increase in hardware sales offered a boost to income. Sony said the PlayStation strength was driven by new releases during the quarter, including "FIFA 18" and "Uncharted: The Lost Legacy." The firm plans to roll out several new games over the coming years, including some titles that are virtual reality-based. While game and network services won the quarter, Sony's imaging product and sensors division increased sales 15.8% year-over-year and home entertainment and sound increased 28.1% over last year. Revenue at Sony's semiconductor unit grew 17.9% over last year to 228.4 billion yen on an increase in demand for Sony's chip products used in mobile phones. Sony hiked its second quarter dividend to 12.50 yen per share from 10 yen per share. The company said it sees operating income for the fiscal year ending March 31 to be 630 billion yen, which, if realized, would be its best profit since 1998.